The Chief Minister of Maharashtra Devendra Fadnavis along with Bollywood personalities like Jaya Bachchan, Gulshan Grover, Kalki Koechlin, filmmaker Sudhir Mishra attended the 2nd Indo-French Professional Meeting of the Moving Image Industries organized at Sofitel Mumbai BKC. The Embassy of France in India is organizing the second round of Indo-French professional meetings for the Film and Television Industry on 13 - 14 December 2018, in Mumbai. 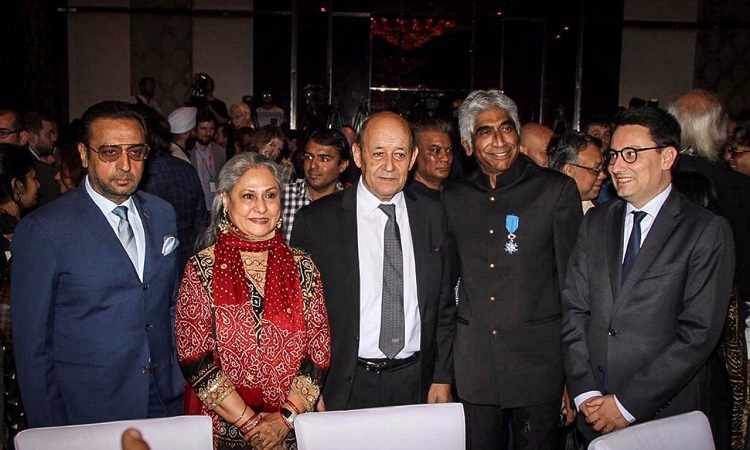 Jaya Bachchan interacted with the French Minister of Europe and Foreign Affairs, H.E. Mr. Jean-Yves Le Drian. The minister presided over the closing ceremony of the meetings and announced the institution of a special fund to encourage Indo-French coproductions and exchanges. The two-day meet was held to provide an interactive platform to Indian and French media professionals, content producers and buyers to discuss prospects for collaboration as well as the opportunities for the diffusion of native content in each other's countries. The meetings included roundtable conferences, one-to-one B2B meetings and group meetings to explore, initiate and execute projects and programmes in the areas of filming, media content distribution and joint ventures in cinema and TV programming.